The Super Bowl is heading to Atlanta the weekend after next, and whether you watch it for the game or for the ads, it’s time to stock up on snacks. While lots of blogs have recipes for all sorts of elaborate spreads, we’re a big fan of a humble, yet delicious plate of nachos. Why? Because nachos, like the perfect hire, are fun, reliable, creative, and cheeseygoing. Everyone knows there's a huge difference between gas station nachos and nachos with perfectly melted cheese, fresh salsa and creative toppings. 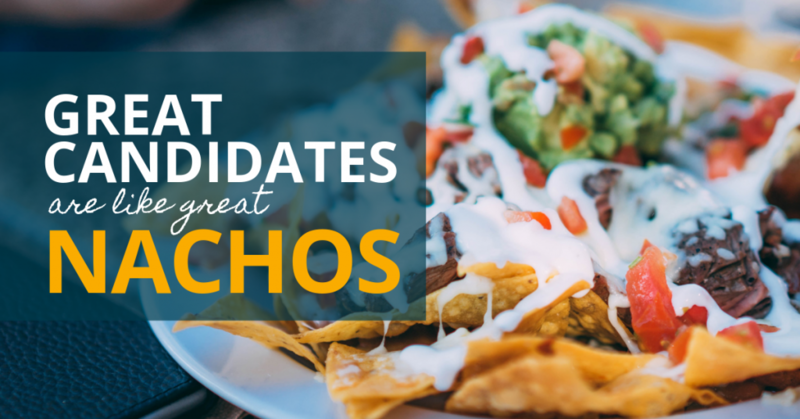 Like nachos, a candidate’s background can be what makes or breaks them. So, here are the perfect ingredients for great nachos and a great hire. You can’t have good nachos without a sturdy chip. For the ultimate nachos, find tortilla chips that are crunchy and firm enough to support the ingredients. The same goes for candidates-- think of tortilla chips as the candidate’s educational and professional background (which you can verify with a quick background check). With the right degrees and the right work experience, your candidate will be able to support whatever tasks come their way. Right after the chips, add a bit (or handfuls, we don’t judge) of cheese. This will serve as the glue that will keep your nachos together. We recommend cheddar or pepper jack, but the type of cheese is up to you. Much like candidates, it doesn’t matter where cheese comes from, as long as they can get the job done. And, a great candidate will be a team player, who can multi-task and still hold it all together. Some people might think that salsa from a jar will do the trick, and the truth is, it will probably be delicious. However, taking the time to bring homemade salsa shows extra initiative. This is exactly what you want to see in a candidate too. By chopping tomatoes, jalapenos, onions, and whatever else you like, you show your dedication to the quality of the nachos, and your guests will notice the difference. Not only is guacamole delicious, it also adds a good pop of color. Your ideal candidate should know how to have fun, while maintaining professionalism. Being able to enjoy time with coworkers increases employee satisfaction and, according to SHRM, having workplace friends is one of the most important retention factors. 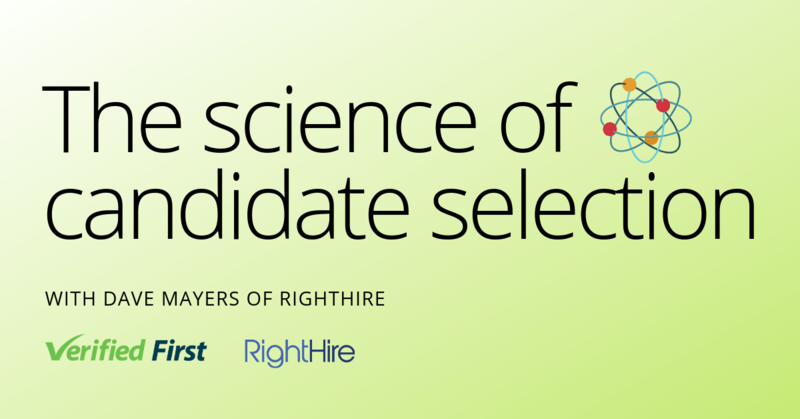 Making sure your candidate is a good culture fit, is a win-win for everyone. It’s important to have fun at work and to work well with others. Ultimately, though, there’s still a job to be done, and your candidate needs to be able to do that job well. Meats, like ground beef or shredded chicken, provide substance for your nachos, so that your friends stay full and satisfied throughout the game. At the end of the day, your candidate should be able to do good work that keeps the company moving forward. Some people go for meats or beans, we say go for both! Beans have a subtle flavor that add substance without overpowering the other ingredients. Your candidate should do high quality work, while elevating their team to do the same. According to Forbes, dependability is one of the top five irreplaceable traits of a successful team. To work well with others, your candidate should be trustworthy and consistent in their communication and results. Nachos can get spicy, and work can get stressful. When that happens, sour cream comes in to cool everything down. 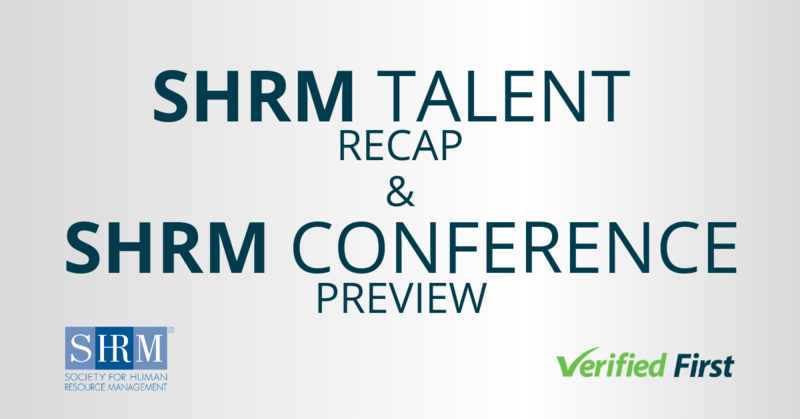 Like sour cream, a candidate should be able to stay calm in stressful situations and handle last-minute tasks with professionalism. Whether you’re assembling nachos or finding the right candidate, the final product should be something you're proud of. As you work to find all these ingredients, use a trusted background screening company to make sure that those ingredients are the real deal.